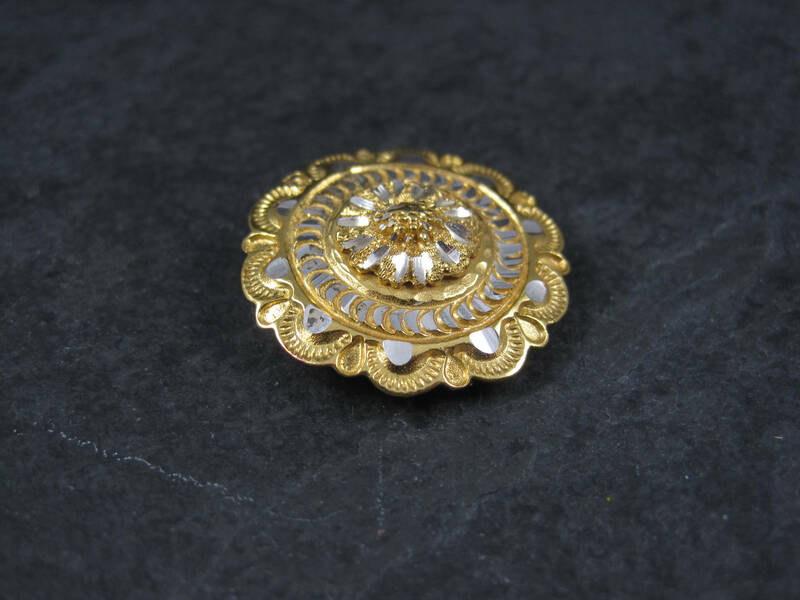 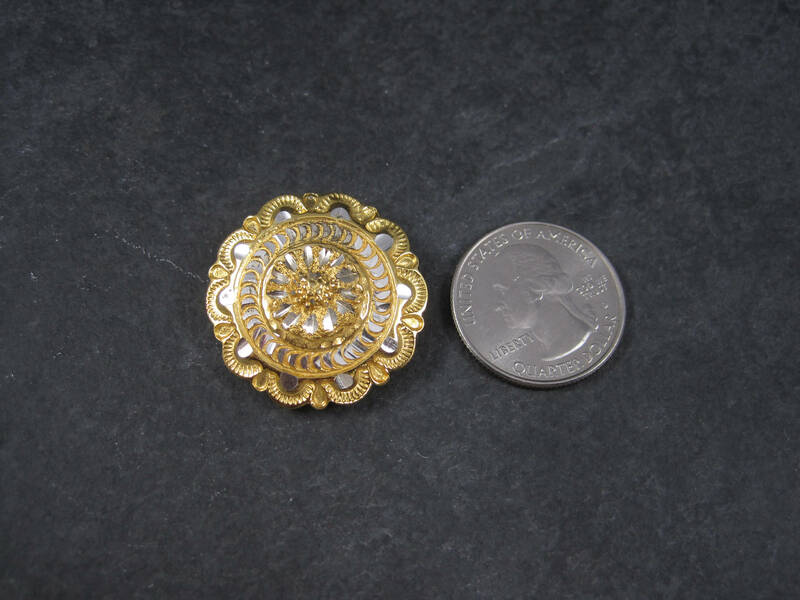 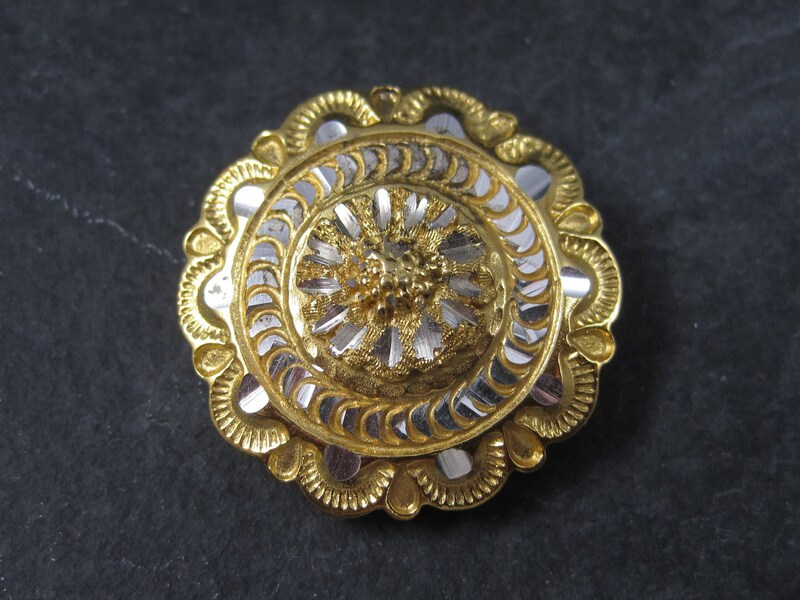 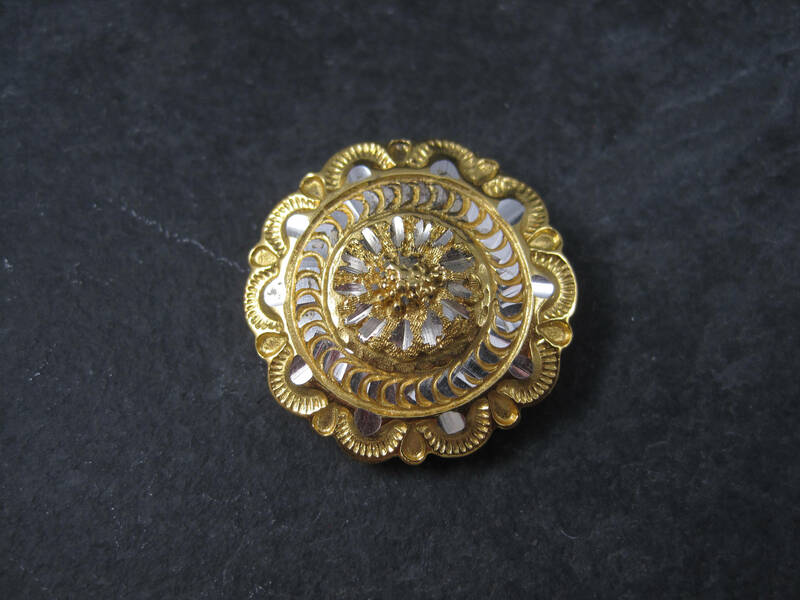 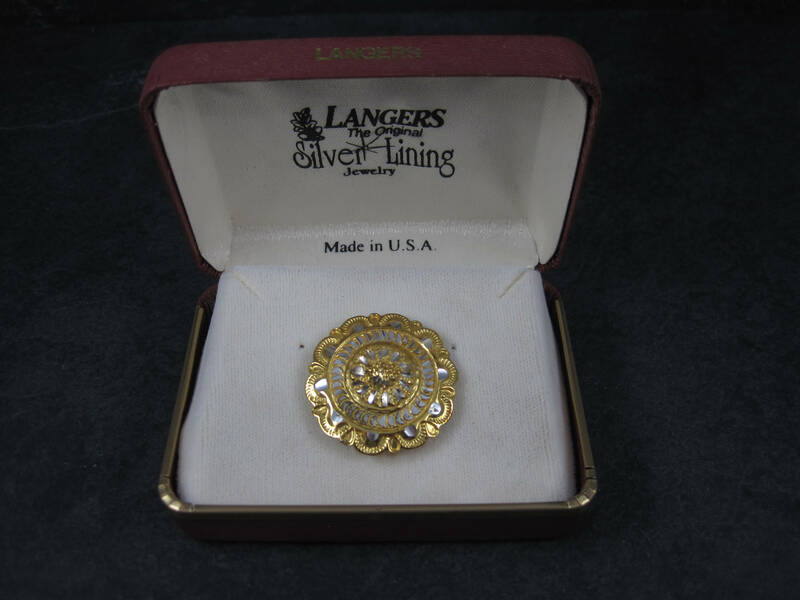 This gorgeous gold vermeil over sterling button cover is black hills jewelry by Langers. 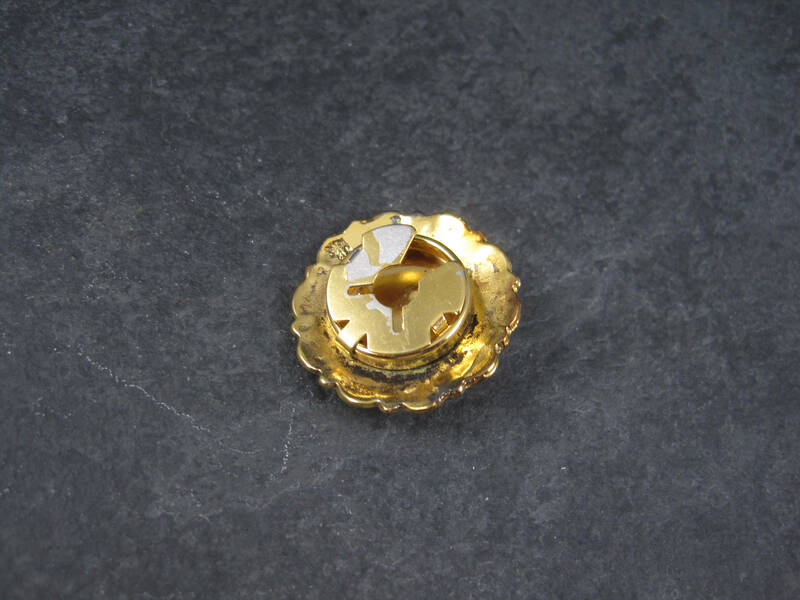 Will fit a button upto 1/2 of an inch. 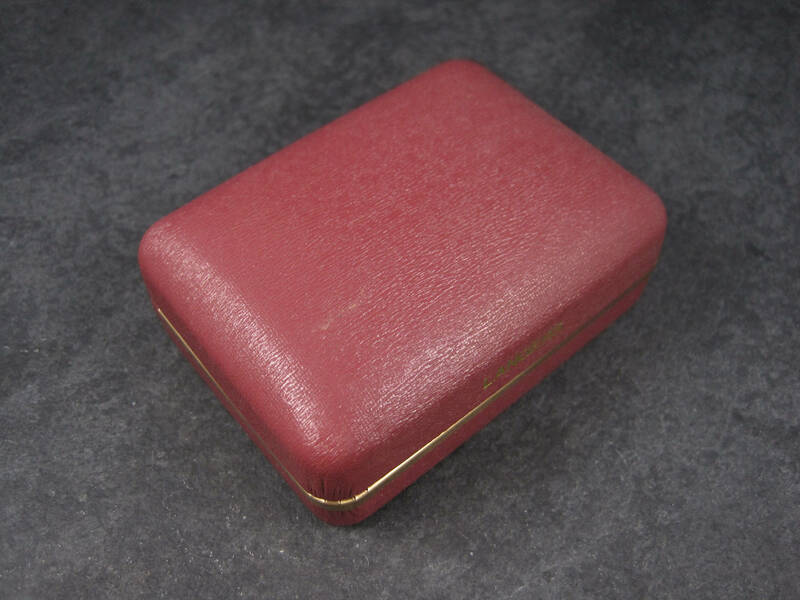 Condition: 1980s new stock in original box - the hinged part that clasps onto the button has plating loss.